Hello!! I am excited today. A few reasons. 1. 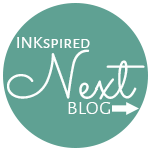 It's our 29th INKspired Blog Hop, you may have just hopped here from my bestfriend Kabrina, she amazes me every week her creations. Please make sure you let her know how fabulous she is! 2. My super beautiful cousin (in-law...well, she's still mine, even if she is related to my husband) is celebrating her birthday today and even though I'm not with her, she knows how much I love her and how grateful I am she is on our lives. Happy Birthday Karen, hope you managed a sleep in and are being suitably spoilt. 3. Today is Sunday in Australia and I am currently in Melbourne, having tea and toast with my beautiful team. 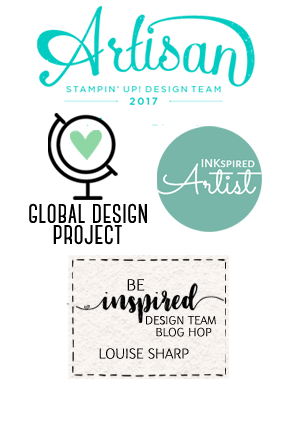 Yesterday was the latest Stampin' Up! event called Onstage Local. We had a WOW of a time! Lots of screaming and squealing and by WOW...I mean we really couldn't stop saying WOW, WOW, WOW!! 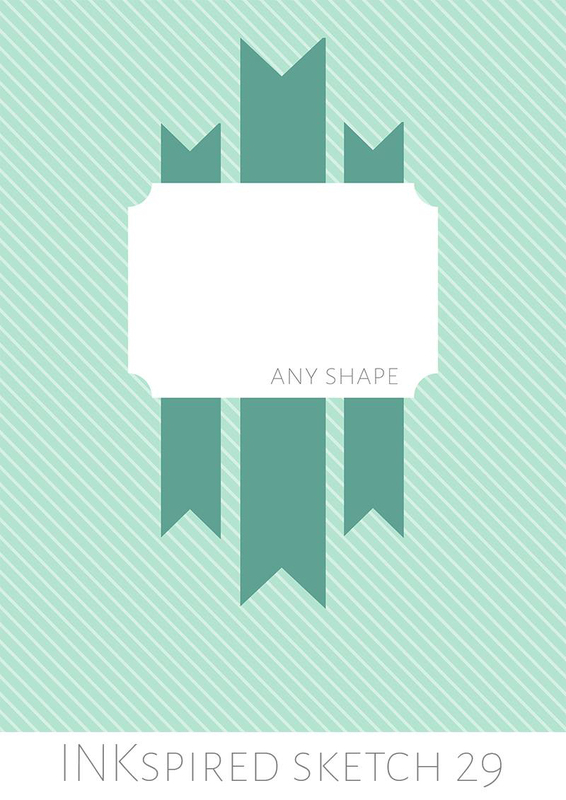 I can't wait to until I can share all the new upcoming goodies that are soon to be released. Stay tuned. You will be WOW'ed too! 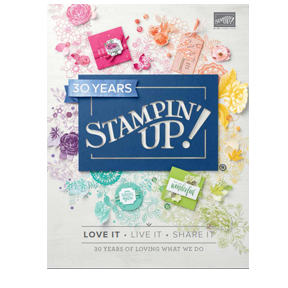 Here is our latest sketch created by Teneale, and I will say that I did struggle at first until I remembered my Stampin' friend Jessica Williams say 'Timeless Love' is her favoutite stamp set, so I decided to dig it out and see what I could come up with! I will return in a couple days to show you pictures from Onstage Local in Melbourne and the fun we had! 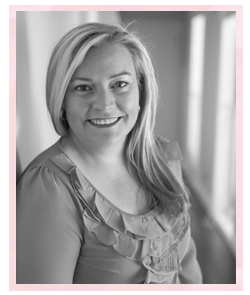 Moving onto another one of my favourite crafters, Barbara. I know you won't be disappointed with her beautiful card this week, make sure you let her know how amazing she is. You can purchase any of the items below from my online shop by clicking any of the pictures. Goodness me! THIS IS AMAZING. WOW o WOW. Dissecting the wreath looks totally stunning, you sure know how to WOW. 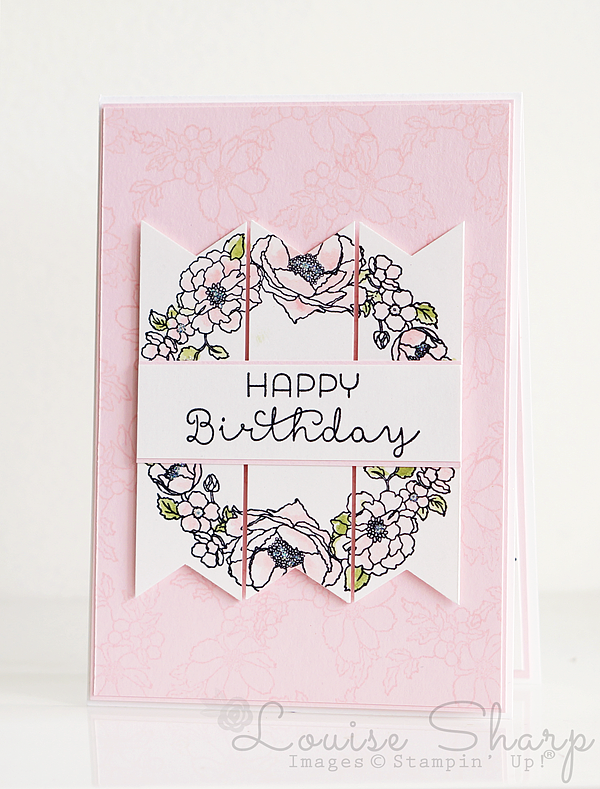 Love your card and love how you have used the Timeless flowers. Soft and pretty! 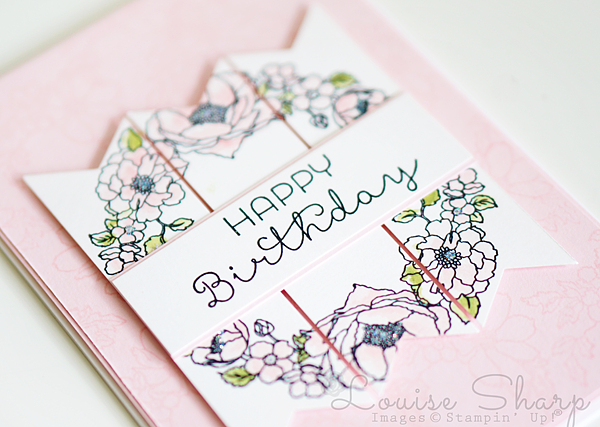 VERY pretty card Louise! I think I may just "need" to buy that stamp set now! This is a very pretty card! I don't normally like pink but this is lovely. Thanks for sharing!